The chief of Bodoland Territorial Council (BTC) and Bodoland Peoples’ Front (BPF) supremo Hagrama Mohilary said that the party is all prepared for the forthcoming Parliamentary election. 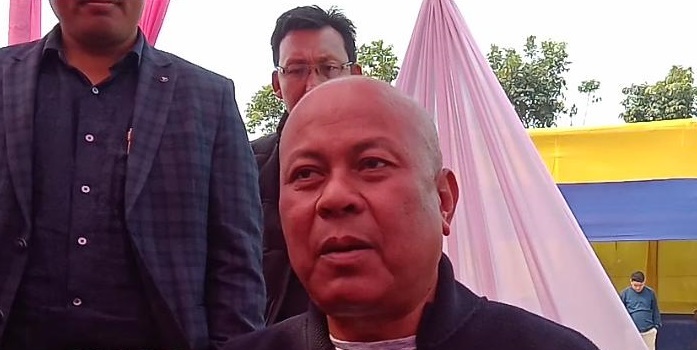 Talking to reporters in Kokrajhar on Thursday, Mohilary, said the party will field candidate in Kokrajhar seat while it will support its ally, the BJP and AGP in other constituencies including Mangaldai seat. Mohilary said though the AGP has snapped its alliance with the BJP, it’s still an ally with the BPF. “The AGP is still in alliance with our BPF party, he said. He also said the main contest this election will be with the ABSU backed UPPL candidate in Kokrajhar. On the fight with the present MP Nabo Kumar Sarania, Mohilary said, he is ‘nowhere in the picture this time’. In the last election he managed to convince the people taking anti-Bodo sentiment which he will not be able to do this time, Mohilary said. Mohilary also said the Congress will be totally wiped out in this Lok Sabha election.